This book is dedicated to women all over the world with a story waiting to be shared. 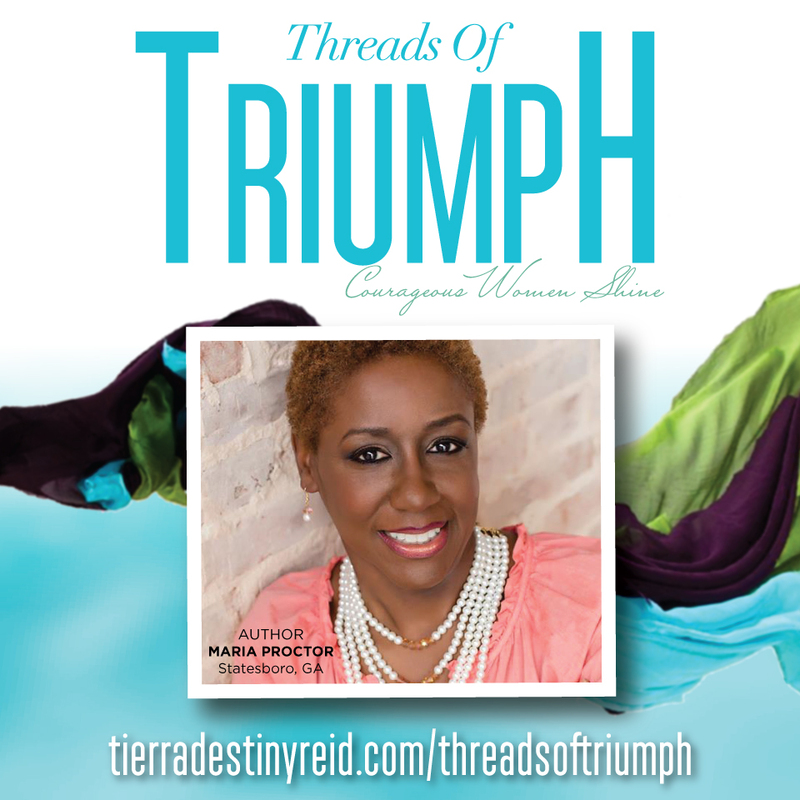 We hope that the women who have courageously let us into their world in Threads of Triumph will inspire you to also share the treasures, pain, and triumphs of your past to empower someone else. Your journey is unique. Many times we think that others have heard similar instances or we may assume we are not any more special or different than the next person but we are. Someone needs to hear your story and people need to know how you overcame. Never assume that your past doesn’t have value. You were uniquely and perfectly made and we thank you for sharing this mission with us. "Faith is not just a Sunday thing: it's a Monday, Tuesday, Wednesday, Thursday, Friday, Saturday thing. It's something you should have with you daily, weekly, monthly, hourly and every minute of your life. But faith without work does no good. " Learn more about Keshea Way here. "My advice is to believe in yourself, find a mentor or an accountability partner, and never be afraid to ask for advice. You'd be surprised at who's out there willing to help you. Your past does not determine your future!" Learn more about Shyreeta Benbow here. "I was nervous, scared, sad, and excited all at the same time. Change can do that to you. I call it having a "Magenta Moment." Magenta is a color made of several colors, but what they produce is just right:magenta! That's how I believe change can feel when it's right: a little fear, a little pain, a little excitement, a little courage, a little joy, and a lot of liberation makes a "Magenta Moment"." Learn more about Lorea Sample here. "In the midst of life's peaks and valleys, it it vitally important that you understand and accept the importance of taking time for you, not in a selfish way, but a self-full way." Learn more about Maria Proctor here. "People can praise your talents, creativity, or leadership, but until you see these things for yourself, you are paralyzed from moving forward. That is where the real work begins: you have search within yourself for the answers." Learn more about Mekeda Dempsey here.
" When we are brave and honest enough to admit what we see, who we are, and what needs to change, we attract the things that will guide us to what we desire and deserve." 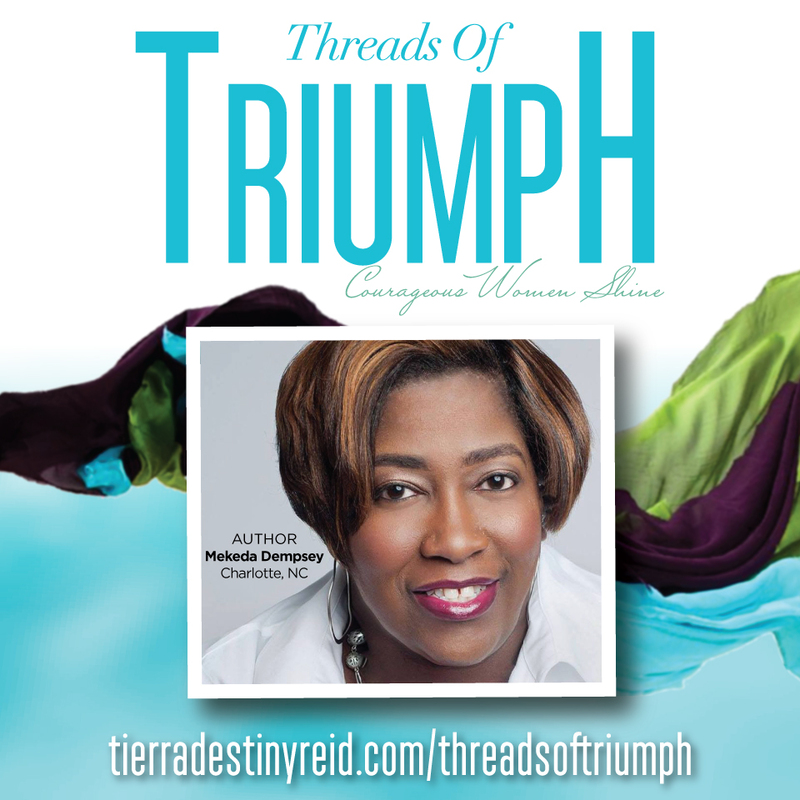 Learn more about Tierra Destiny Reid here. "We are all imperfectly perfect. Embrace your experiences, both good and bad, because they shape who you are and who you have become. We are all on this journey together, and living your life as your most authentic self—without apology—is the most empowering and freeing feeling ever. Be fearless!" 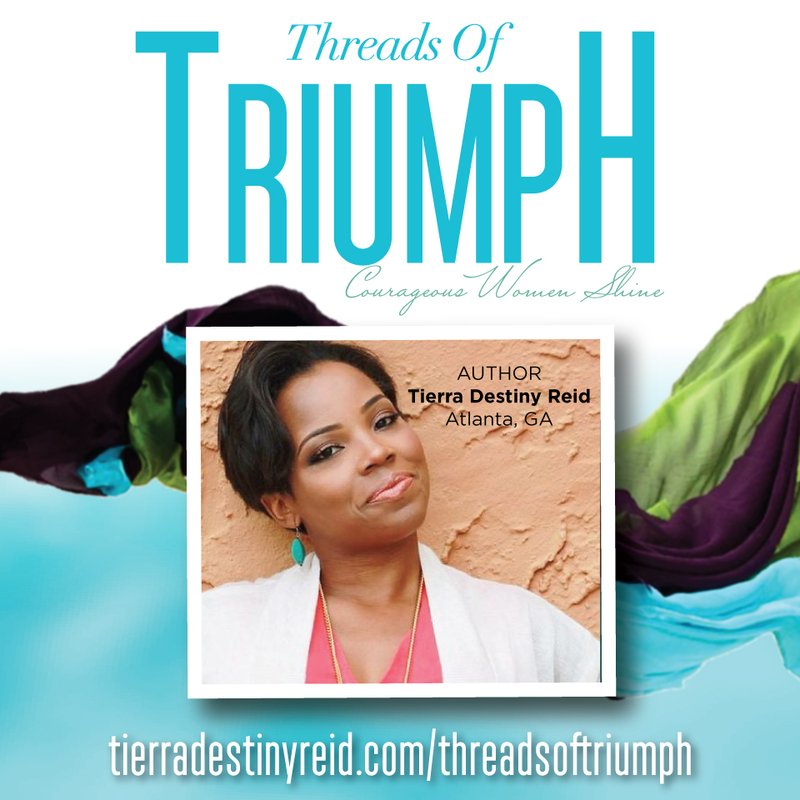 Tierra Destiny Reid is the CEO of TDR Brands International and TDR Brands Publishing, which is a boutique publishing arm of the company that specializes in assisting existing clients with producing products and offerings that will have an impact on those around them. TDR brands International is on a mission to help servant leaders learn to pause and propel towards their highest purpose in life, love, and business. To partner with us or obtain additional information, email inquiries@tierradestinyreid.com or call 1888. 353. 0899 ext. 0. 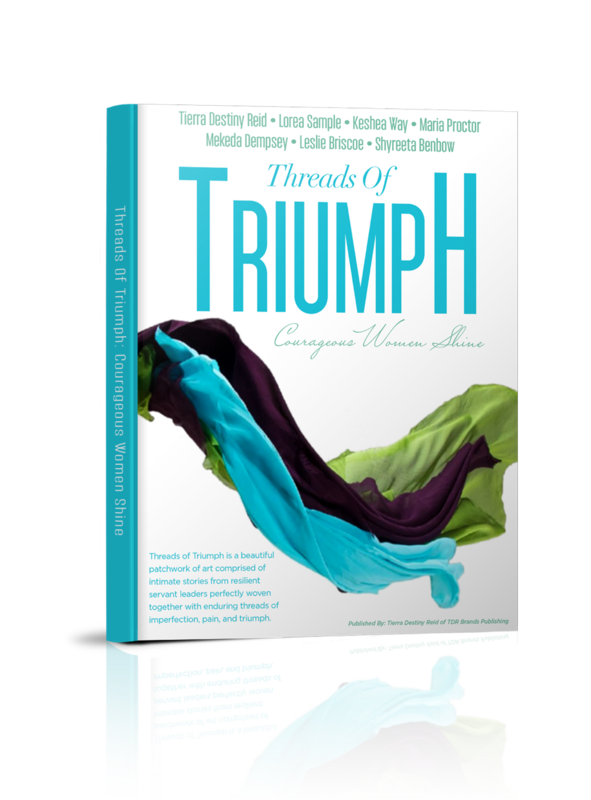 Want to bring THREADS OF TRIUMPH to your group? Complete the form below to host a book signing in your city.